The roomy and reliable 2017 Honda Odyssey is America's best-selling minivan. Big SUVs are tempting, but savvy moms and dads are drawn to the Odyssey's acres of interior space, 5-star crash-test rating and its long list of family-friendly features like a built-in vacuum and power sliding doors. The Odyssey's powerful V6 engine can also deliver up to 27 mpg. It has a great warranty, the easy of getting kids in and out makes trips much easier, and the room the van provides has been great. The Odyssey has made getting around much easier, the sliding doors are easy for the kids to open and being lower to the ground than an SUV they can climb in themselves. With the back seats down I have had three strollers in the trunk which is extremely convenient. The ride is nice and sometimes I forget I am driving a minivan. The built in GPS makes travel easy. The car was definitely designed for families. We do recommend the Odyssey to all of our friends with children. My Honda van is the perfect family car and fits our needs perfectly! My van has been great. I have not had any performance or reliability issues. I have it serviced regularly and it runs great. I like having control over the doors from the front seat. We have plenty of room for my twins rear facing car seat. I like that I do not have to have my keys in my hand to get the door open when it is locked. I also like that I can roll down the windows from my key fob, particularly in the hot southern summers. It's a family car. There's room for kids, car seats, and groceries, and it has a screen in the back for watching movies during travels. We purchased this vehicle last year, to accommodate our growing family. It came with an entertainment package, which was a huge seller since we have small children. The check engine light came on as soon as we drove it off the lot, and we had it in and out of the shop the first few weeks of owning it. No problems were ever found, and we haven't had any trouble with it since.
? 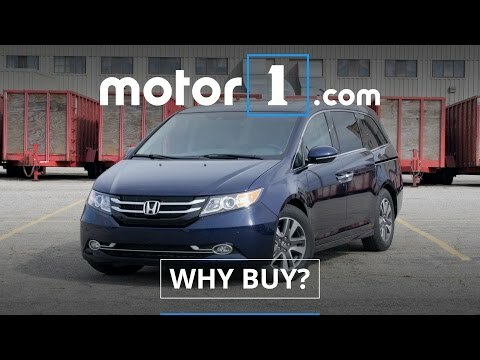 2017 vs 2018 Honda Odyssey Comparison???? Honda will notify owners, and dealers will install a bracket to the second row outboard floor strikers, free of charge. The recall began April 2, 2018. Owners may contact American Honda Customer Support & Campaign Center at 1-888-234-2138. Honda's number for this recall is S0G.